Last updated on 3/14/11 @ 2:00 PM CDT. Between the brush fires and flooding in Australia and the flash floods and landslides in Brazil, the world has seen at least several large-scale “natural” disasters in recent months – though consumers of mainstream media may be none the wiser. As with the 2010 floods in Pakistan, these emergencies have received little coverage (at least in the United States), including from animal advocacy corners. Perhaps it’s due to “compassion fatigue” in the wake of the earthquakes in Haiti, which sparked an outpouring of support. (If not structural, but still.) I’d like to believe that, as far as fellow animal advocates are concerned, the silence is attributable to a simple lack of news to report. At least, this has been the case ’round these parts; aside from the stray plea for donations, I haven’t seen much in response to more recent disaster situations. When I received Kinship Circle’s latest newsletter, reporting that it – in partnership with IDA – was on the ground in Brazil, providing disaster relief to the nonhuman victims of the floods and mudslides, I figured it was high time to write about the relief efforts currently underway in Brazil. Though I spent much of the morning combing through the websites of well-known animal welfare groups – including many of those that responded to previous disasters – I was only able to find a few that are currently providing aid in Brazil. The most pressing need, of course, is for monetary donations. Please give what you can. Long-term, volunteers – bodies on the ground – are essential to providing emergency assistance as well. To this end, please also consider getting involved with an animal advocacy group that specializes in disaster response. 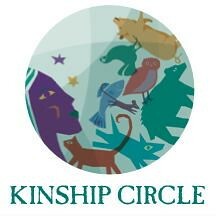 If you live in the U.S., Kinship Circle is a good start; check out its Disaster Responder Volunteer Form for more info. In you know of any other resources, please share! You can either email me at easyvegan [at] gmail.com, or leave in it the comments section, and I’ll tackle it it asap. Please and thank you. Also, I’d like to remind y’all that I continue to update previous disaster hubs periodically, as new information becomes available. These include: the 2010 Pakistan Floods; the 2010 BP Oil Spill; the 2010 Earthquake in Chile; and the 2010 Earthquakes in Haiti. Additionally, I still maintain a disaster relief archive – dating back to Hurricane Katrina in 2005 – over at my old blog, Smite Me! (See: Disaster Relief.) All relevant newsletters are crossposted there as well. Here’s a quick roundup of the animal welfare, animal rights, and vegan groups that are either 1) directly assisting with animal rescue efforts in Brazil or 2) collecting and distributing funds to those that providing aid in the region. Please note that some of these groups may focus on “saving” farmed and working animals so that they can be further exploited in the future – and let your own ethics guide you in your decision to donate. 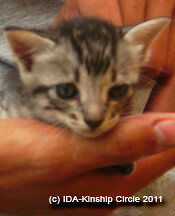 search and rescue services, veterinary treatment, including spaying and neutering, and other needed assistance. The goal, as in the aftermath of the 2010 Chile earthquake and tsunami, is to work within the structure of Brazilian agencies and bring together human, technical, and material resources. Both groups are experienced in disaster response and animal rescue efforts, with Kinship Circle in particular focusing disaster relief as a core mission. Kinship Circle and IDA deployed volunteers to Brazil in the weeks following the flash floods and mudslides. You can follow their progress on Kinship Circle’s website, with a special page dedicated to the campaign here: Brazil Floods & Mudslides – Field Notes. 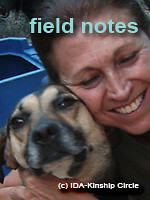 (IDA maintains an Animals in Disasters blog, but it hasn’t been updated since November ’10.) Both groups have a special nonhuman disaster relief fund to which you can donate: Kinship Circle (select “ANIMAL DISASTER AID FUND”) and IDA. opened an operations centre to co-ordinate assistance to animal victims. The centre, situated in the worst-hit town of Teresópolis, opened on 27th January to respond to the essential emergency needs of dogs and cats, the animals most affected by the recent flooding. The centre is now holding 12 tons of dog food and one ton of cat food, as well as veterinary and other essential supplies, to be distributed according to the needs identifed by WSPA in its assesment following the disaster. The centre’s response team is being co-ordinated by Dr. Sérgio Vasquez, a specialist in disaster management from WSPA’s Central America, Mexico and Caribbean office. The team comprises members of WSPA Brazil and the director of a Brazilian member society, Ecosul, which co-ordinated relief in the state of Santa Catarina in 2009, as well as a profesor from UNIFESO. In Rio’s floods and mudslides, local member societies SOS Animal, GAPA, AnimaVida and COMBINA all had animal shelters or other facilities in the disaster zone, and were able to respond initially, with the help of donations sent to WSPA Brazil. These organisations will continue to be involved as part of a WSPA-coordinated emergency response, which will focus on immediately providing food, and medical treatment. In the ensuing recovery period, WSPA will continue to co-ordinate such efforts, provide necessary shelter if required, and also engage local authorities and citizens in future preparedness for such disasters. 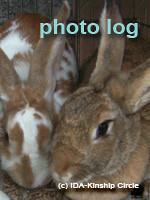 The Animals in Disasters blog features a donation button for the WSPA’s Animal Disaster Fund, but the link is expired. It seems that the only way to make a donation at this time is through the WSPA’s general donation page. 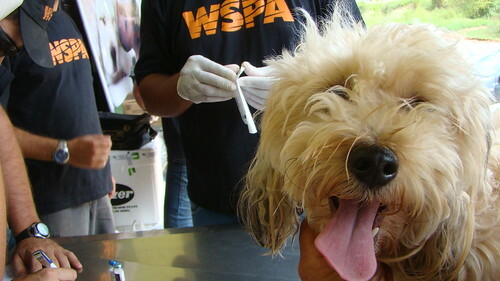 For continuing coverage, follow WSPA Brazil, as well as its Flickr feed (this set in particular: Animais em Desastres – WSPA – Região Serrana RJ – Janeiro 2010). Of those groups mentioned above, I was only able to find a web presence for AnimaVida. You can read about its partnership with the WSPA here. Food for Life Global (FFLG), which distributes free vegan/vegetarian meals to those in need worldwide (among other things), does not currently list the 2011 Brazil floods as one of its emergency relief programs. However, it does support a food distribution project in Rio de Janeiro. Please see the following newsletters and email alerts for additional information about animal rescue efforts in the wake of the flash flooding and mudslides in Brazil. As always, these are sorted chronologically, with the most recent alerts appearing first. Six weeks have passed since the cataclysmic flooding and mudslides in Brazil. In the warehouse-like emergency shelter in Teresopolis, in Rio de Janeiro, what is particularly striking is that the vast majority of animals – among hundreds – were companion animals, not strays as was the case after Chile’s earthquake a year ago. Formerly loved and cared for, those in the shelter are now haunted by loss, living alone in a world they used to share with human families. Thanks to your donations, IDA has been able to contribute to the team of responders trying their best to care for these animals. IDA has partnered with another animal protection organization, Kinship Circle, in response to this disaster. Amid continuing rains and mudslides, with an ever-growing fear that more flooding is imminent, IDA-Kinship Circle volunteers ease some of the heartbreak, terror, and confusion. Left outside the shelter was a rottweiler-pit bull mix, with her shiny coat and sparkling white teeth, whose spirit has deteriorated quickly. An elderly man, filled with despair, left a black chow mix at the shelter front gate and walked away, while the bewildered dog, straining on his leash, was desperate to join him. There are the “drive-by drop-offs” left roped outside or in milk crates. There are the guardians who have lost everything and carry their beloved animals into the shelter because they can no longer care for them. IDA-Kinship rescuers are still bringing to the shelter dogs and cats from homes that were ripped apart. A pregnant black lab went into labor and was rushed to a separate warehouse reserved for medical procedures. On the same day, a dog died in the same building where the puppies were born. Sadness permeates the Teresopolis shelter, but the ravages of such a catastrophe have stirred great heroism and extraordinary compassion. Adoptions abound. A Franciscan nun and monk order will take 15 dogs as soon as the roads reopen from flash flooding. Two Brazilian veterinarians from Sao Paulo University and responders from Canada have recently joined the volunteer team, as have Chilean veterinarians whom we assisted in Chile’s earthquake last year. Your donations to IDA’s Animal Disaster Relief Fund allow us to act quickly wherever and whenever we can. Help us act now and in future disasters. Please contribute as generously as you can. Without your support, our efforts in such disaster-ravaged areas as Brazil, New Orleans, Haiti, and Chile would not happen. 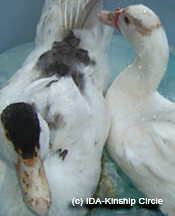 In Defense of Animals, located in San Rafael, Calif., is an international animal protection organization with more than 100,000 members and supporters dedicated to ending the abuse and exploitation of animals by protecting their rights and welfare. IDA’s efforts include educational events, cruelty investigations, boycotts, grassroots activism, and hands-on rescue through our sanctuaries in Mississippi, Mumbai, India, and Cameroon, Africa. In Defense of Animals is a registered 501(c)3 non-profit organization. We welcome your feedback and appreciate your donations. Please join today! 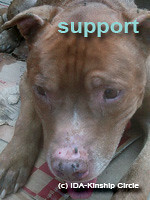 All donations to IDA are tax-deductible. Subject: What happened to me? IDA-Kinship Circle volunteer Jan Cabral wept as she told the story. 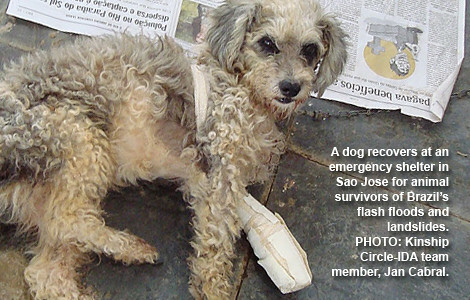 This puppy is just one of more post-disaster deaths as conditions worsen for Brazil’s animals. HELP US BRING HOPE TO BRAZIL’S ANIMALS! Kinship Circle-IDA teams are in Teresopolis, in Rio de Janeiro’s mountain region. We assist NGO EstimAcao with emergency veterinary care and sheltering at a warehouse with wall-to-wall animals. In this photo Kinship responder Sister Michael Marie comforts a left-behind bunny in Santa Rita, where we do search and rescue. Every human died or fled here. We find animals hurt, hungry, afraid. ● Send veterinarians and supplies to clinically diagnose and treat animals. ● Heal animals so they are more adoptable. ● Rotate teams in Brazil to fulfill our promise. ● Fund a vehicle to rescue orphaned animals. Suddenly you an your dog are suffocating under rocks, mud and debris — buried side by side. It’s too late for you, but your dog survives. Rescuers pull out the sick, elderly Rottweiler (above in photo collage). Who will love him now? WHY SAVE ANIMALS IN BRAZIL? Kinship Circle specializes in animal disaster aid. We’re not a community shelter/rescue group. Our membership is global, with disaster-trained responders in the U.S., Canada, Vietnam, Brazil, Chile. We activate for many USA disasters — Gulf Oil Crisis, Hurricanes Gustav & Ike, Iowa Floods, Hurricanes Katrina & Rita…more. We base decisions on NEED — not GEOGRAPHY. Animal conditions in Brazil are heartbreaking. We are there. THANK YOU SUPPORTERS! We’re behind in paperwork, but your gift is working hard to sponsor 4 volunteer veterinarians and pay for a 5th Brazilian vet. Thanks for your patience. You’ll receive a receipt. This dog has bicheira, flesh eating maggots in Portuguese. The left side of his face is gone. Rescuers thought he’d die. But he responded to treatment. Maggots are epidemic among injured animals of Brazil’s floods and avalanches. This dog gets a happy ending — a home in Rio! The tiniest of hearts beats in the wreckage. Over one month post-disaster, EstimAcao still gets calls to rescue animals stranded by the slides and floods. At an evacuated home, we found ducks, bunnies, dogs, chickens, and an trapped songbird. No food or water. Caged, starving, scared. One duck seemed too dehydrated to live. But a bath revived her. Kinship Circle is a 501c3 nonprofit animal advocacy and disaster rescue organization that specializes in action campaigns, educational literature/outreach, and animal disaster rescue/relief. All donations are tax-deductible and no good or services are received in exchange for them. Click here to view this message online in your web browser. 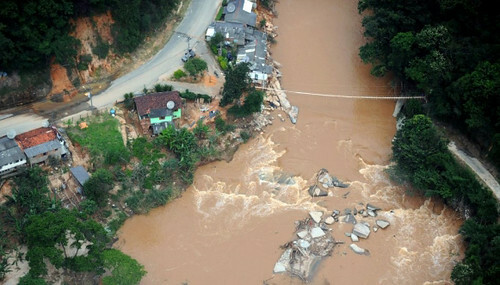 of Brazil’s flash floods and landslides. PHOTO: Kinship Circle-IDA team member, Jan Cabral. With thirty years combined disaster relief experience, In Defense of Animals (IDA) and Kinship Circle have formed a partnership to respond to Brazil’s floods and mudslides. 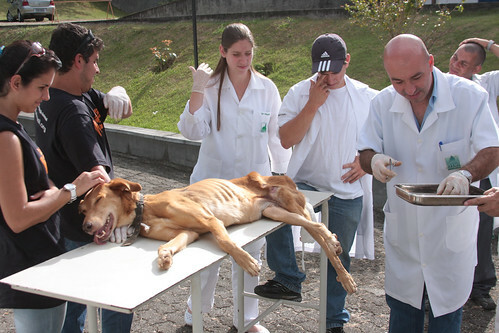 An IDA-Kinship Circle team now in Brazil is providing search and rescue services, veterinary treatment, including spaying and neutering, and more. Please click here to donate today! Entire towns are devoured by floods and mudslides, the worst natural disaster in the country’s history. Thousands of rescued animals have found refuge in makeshift shelters. There is dire need for food, water, shelter, and veterinary-trained responders. 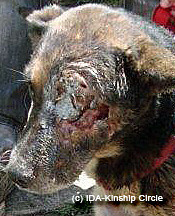 Animals with broken bones, burns, and deep gashes are everywhere. There is growing concern about disease. Nicky, a German Shepherd mix, limped into the Teresopolis shelter in Rio de Janeiro with one leg dangling, a missing toe, and an absent foot pad, wearing a collar caked in mud. Her family was swallowed up in a landslide. IDA-Kinship Circle responders Jan and Carlos Cabral of Posse Petropolis, Brazil adopted the ten-year-old, who now shadows Jan everywhere so as not to be left behind. In an old warehouse in Teresopolis, a mountain town outside Rio de Janeiro, newly rescued animals arrive daily. There is overcrowding and shortages of medication and fluids. Temperatures rise into the nineties. The risk of Dogs tail lost to maggotsdehydration is ever-present. 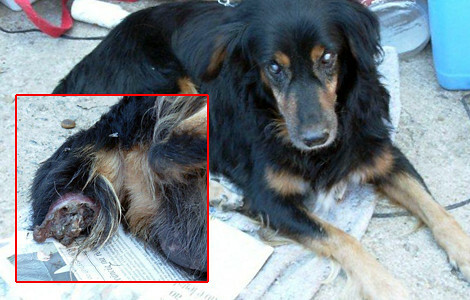 A dog arrives at the shelter, his tail so thick with maggots that it falls off during treatment. There are burn victims and others infested with maggots. Not-yet-rescued cats still hide in the ruins. Puppies remain stuck in the wreckage. Horses are still waiting to be saved. We can’t forget these animals. Please click here today to donate! We have been asked to help set up a spay/neuter clinic and assist adoption, education, and vaccination drives. Funds are needed to support rescue, first aid, medical attention, and emergency housing for lost, sick, and wounded animals. Please contribute as generously as you can. Without your support, our efforts in such disaster-ravaged areas as Brazil, Australia, New Orleans, Haiti, and Chile would not happen. Still, “Leao” remains a powerful reminder that nonhumans experience the same emotions as do humans; they love one another just as deeply as dowe, and the grief and suffering the experience in the wake of disasters natural and man-made is no less than our own. This entry was posted on Sunday, February 20th, 2011 at 4:45 pm. You can follow any responses to this entry through the RSS 2.0 feed. You can leave a response, or trackback from your own site.